Rodney is the leading expert on wild snow leopards and their high-mountain habitat. Rodney brings thirty years of experience to the Snow Leopard Conservancy, having worked closely with rural herders and farmers whose lives are directly impacted when snow leopards prey upon their livestock. Read his full biography. Caroline Gabel lives in Maryland, where she directs the Shared Earth Foundation, which supports endangered species and their habitats. Caroline is also active on the boards of Defenders of Wildlife and Rachel’s Network. She served as a Congressional staffer on the House Committee on Public Works and Transportation from 1970 to 1999. There she helped establish legislation to, among other things: protect and restore the backwaters and sloughs of the Upper Mississippi; protect and enhance water quality in the Great Lakes; improve aviation safety and security, channel highway money into bicycle and hiking trails, and historic preservation. Caroline is a licensed pilot, accomplished equestrian, and avid traveler. She saw a snow leopard during the 2007 winter Quest for the Snow Leopard. Chris is a native Californian, who spent most of his career as director of the Smithsonian Institution’s Conservation and Research Center in Virginia. Among his activities there, he oversaw fieldwork on south Asian ecology in Nepal, India and Burma. Chris is also a former chairman of the IUCN Deer Specialist Group. He co-edited Elephants and Ethics: Toward a Morality of Coexistence, published by Johns Hopkins University Press in 2008. He is a lifelong Honorary Fellow of the California Academy of Sciences, and Scientist Emeritus of the Smithsonian National Zoological Park. These days Chris enjoys being a wildlife conservation consultant and expert camera trapper. Bob Wilson is active in a number of environmental organizations. He is the former Chair of the Greater Farallones Association (formerly FMSA) board and is currently Treasurer and CFO. He has been an active Beachwatch and SEALS volunteer. He has served as the executive director of GFA. He has been on the Sanctuary Advisory Council for the Greater Farallones National Marine Sanctuary. He currently is CEO of Sanctuary Supporters LLC. Bob is on the Board of Directors of the American Cetacean Society (SF chapter). He is a director emeritus of The Marine Mammal Center, is currently Policy Liaison for TMMC and is a stranding and animal care volunteer. 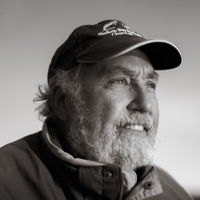 Bob is also a founder and former Board Chair of Polar Bears International (US) and Vice Chair of PBI (Canada). He has been an advisor to organizations such as the Desert Tortoise Preservation Committee and Earthshare California. He is an attorney and retired from the Federal government. Mary Herrmann grew up in Minnesota, graduating from the University of Minnesota with a degree in Medical Technology. She served as a teacher in the Peace Corps in Liberia from 1969 to 1971. After returning, she specialized in microbiology, and joined Virolab in Berkeley, CA, for 21 years, working in virology and immunology. Her work involved collaboration with leading research scientists on numerous ground-breaking epidemiological studies, including HIV-AIDS, Lyme disease, and Epstein-Barr virus. Mary has traveled extensively, including trekking in the snow leopard’s habitat in northern India. 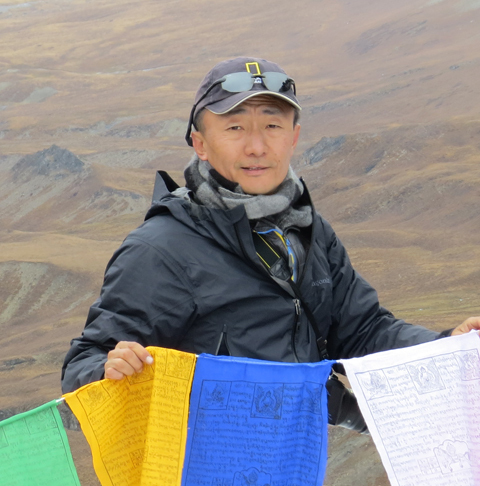 Tshewang Wangchuk is a Bhutanese wildlife biologist who brings nearly twenty years of field experience to our Conservancy Board of Directors. He has worked with Bhutan’s Royal Society for Protection of Nature as well as the national Nature Conservation Division. He coordinated WWF International’s Tiger Program, and has been actively involved in Bhutan’s extensive protected area management system.Tshewang serves as Executive Director with the Bhutan Foundation; he is also completing his doctoral degree at the University of Montana, with a thesis on snow leopard population genetics in Bhutan.